You would think that we would have learned from Google by now to expect the unexpected. There is calm in the SERPs during the holiday season where not too much changes. This way businesses can trust (and invest) in Google to sell their products or services this time of year. 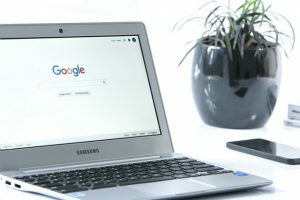 In mid-November, there was a considerable change in the Search Engine Results Page (SERP) where about 51% of the search results has longer snippets associated with their listing. This update is a significant change for many and could be disastrous for others. How? Isn’t this the best news ever! For some it may be, for others, it could be a loss. For starters, any good marketer knew that before November 2017 the meta description length should be between 160 to 180 characters. Now, this number has almost doubled. There are some search results with meta description lengths up to 300 characters before being truncated. So an easy way to describe this is when you compare an old SERP to the new SERP the top 3 results in the former page now will be taken up by the top 2 results. This means that the real estate at the top of the page is more valuable than ever before. So what should you and your marketing team do? You should still try to entice people to click as much as you can while again attempting to answer the user’s query. With the longer description showing you may lose a high percentage of click-throughs to your website because you could be answering the question immediately. It could also impact you positively if the user’s issue is relatively complicated and they need to read more into their subject, utilizing your website as a resource. There could also be the negative or positive impact depending on how far down the page your result drops or takes up due to these changes. The thinking here is that the searcher will not scroll far down to preview the other results below the fold of the page. So the higher your position, the higher probability that they will choose your website as the one to go to. What is the first step to take right now? If you have not done so already, check out your top performing and most essential blogs and landing pages and see if your traffic has dropped at all. These are most likely the pages that you want to re-optimize first and add a more extended meta description to see if it will positively affect your placements over the next few weeks. Catching this update now could be the make it or break it moment for you, many of your competitors could not be aware that this update has occurred yet. Want more marketing tips and news? Check out our other blog Marketing Strategy Tips That Inspire Strategic Thinkers to get ideas on new marketing strategies.